Fall is a beautiful time of year all over Frederick County, but it is truly stunning to see the changing leaves along its scenic byways. 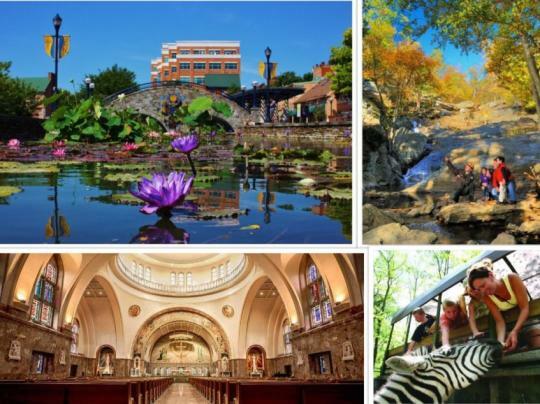 Whether you want to fill your weekend with unique stops and exciting attractions or you just want to spend an hour taking in the gorgeous views, a journey down one of Frederick County’s two most traveled roads is sure to be a memorable experience! 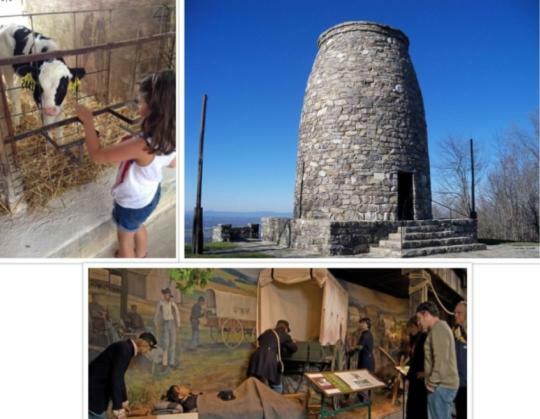 Throughout the changing seasons, the Journey Through Hallowed Ground National Scenic Byway or Route 15 is full of engaging stops that will appeal to the whole family. One of America’s most unique and special destinations, Downtown Frederick boasts a charming Main Street filled with one of a kind restaurants, specialty shops, and a vibrant arts community. North of the bustling city lies the quieter countryside. Catoctin Mountain Park (NPS) holds 25 miles of hiking trails offering visitors a chance to get up close and personal with nature. Just on the edge of the park, Cunningham Falls State Park is home to a 78-foot cascading waterfall, lakefront beach, and loads of other recreational opportunities. Moving toward the Town of Thurmont, visitors will find the Catoctin Wildlife Preserve and Zoo. This is the one and only place in the mid-Atlantic to board an open air truck and ride right through the habitats of emu, zebra, and bison. If you would rather stroll at your own pace, the zoo offers walking paths surrounding over 450 exotic animals. Nearing the Pennsylvania border, travelers will see Mount Saint Mary’s University, home of the National Shrine Grotto of Lourdes, overlooking the path. Discover the story of Saint Elizabeth Anne Seton, the first U.S. born Saint, at the nearby Seton Shrine. 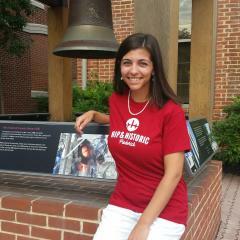 Tour the museum, wonder through the house where she lived, and step into the awe-inspiring basilica. If you are looking for an East to West (or West to East) adventure, look no further than the Historic National Road, America’s first highway. Dating back to 1811, what is today known as Route 40, was a crucial portion of the westward movement for many families. 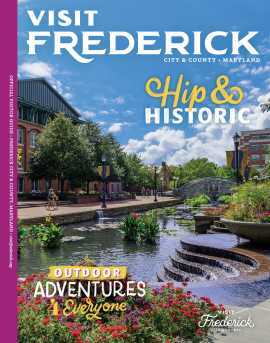 Today, travelers can explore along the Historic National Road in Downtown Frederick on Patrick Street. Consider a stop at the National Museum of Civil War Medicine which tells a story of healing and compassion and houses over 1200 artifacts in five expansive galleries. Further west, high atop South Mountain and hidden by the woods that surround it, sits the original Washington Monument. The beautifully manicured trail leading from the visitor center to the site is short, and not as rigorous compared to the two mile march up the mountain that citizens took to create the attraction years ago. Like the monument in DC, visitors who reach the top of the monument are rewarded with an incredible view. Nearby South Mountain Creamery will satisfy even the strongest dessert craving with fresh from the farm ice cream! Tour the property to find out how the creamery’s dairy products are made on site.